Mouthfeel is a key component of sake, and some of the sakes with the dullest aromas -- they smell almost like water -- have the most excellent umami-laden mouthfeel. One can have a preference for more aromatic sakes; everyone's entitled to his own opinion. But I was dismissing some sakes immediately without really paying attention to what they were trying to accomplish. I'm sorry. Here's my next apology. I thought I knew how complicated sake brewing was. You convert the starch in rice to sugar, using mold, and then you add yeast, rice and water, all the while carefully controlling the temperature. I've written that shorthand description for at least 10 publications. It's not a terrible summary, but it just misses so much. Before coming to Japan, I promised myself I wouldn't overwhelm readers with technical details. I'm not going to break that promise, but let me just tell you, wow, is sake brewing complicated. You add steamed rice and water at different times; you make two different starters for two different reasons. I had an excellent 10-page summary of the process, and I kept staring at it between breweries, realizing there was yet another critical step I had underestimated. I don't think this is a selling point for sake. There's a romantic idea that wine is a very natural product: just grapes stomped by feet, fermented by God. For all its purity -- sake is crystal-clear, rarely contains preservatives and gives fewer hangovers than any other alcoholic beverage -- sake could not possibly occur naturally. This gives me a greater appreciation for the Japanese who figured out more than 1000 years ago all the crucial steps of this unnatural process. It's not something that happened by accident, which is the best explanation for the discovery of wine. Japanese have always been thoughtful engineers, but still, how did they do this before microscopes, when they didn't even know why fermentation happened? Here's what I have gotten right all along. This is the golden age of sake. Sake has never been better: thanks to technological advances, we can drink better sake today than the previous emperor of Japan could have on his birthday. Yet Japanese sake is also something of an endangered species. More than 700 Japanese breweries have closed in the last 20 years. Sales in Japan have been dropping ever since Japanese drinkers discovered wine. Japanese breweries would like to export more, and we are their top market. But after spending a week with them, I can tell you that while they know a lot about making great sake, they know next to nothing about marketing it to Americans. This is why 75% of the sake sold in America is inferior sake made in America. I wish I could summon the rhetorical power to explain just how special, delicious, unique and endangered Japanese sake is. My last apology is that I can't just reach out through this screen and pour you a glass of the good stuff. But let's face it, that would be kinda creepy. 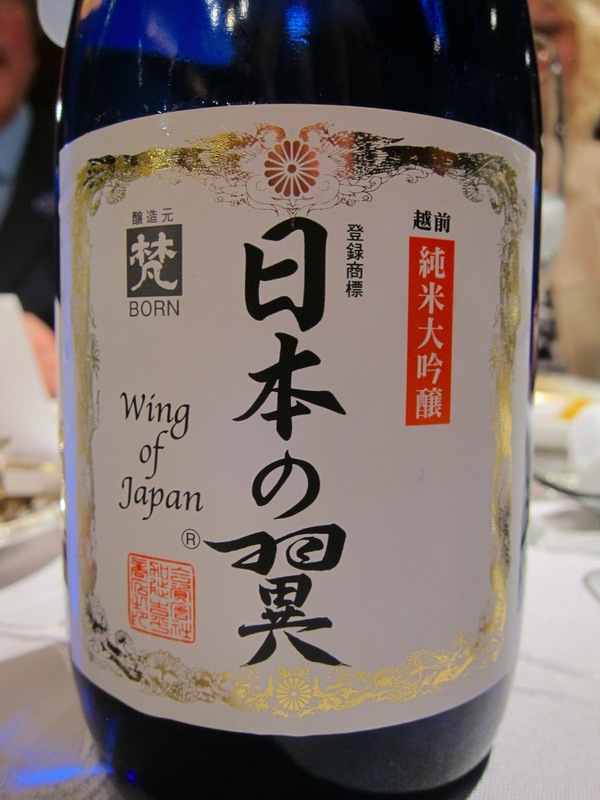 Wouldn't it just take Jon Rimmerman and Gary Vaynerchuk to develop a passion for sake? They are the leading bellwethers/best salesmen in the US. Maybe you could list recommended Sakes that readers could find in a typical supermarket/liquor store in the US. I live in the peninsula just south of you, and i'd love a list i could take to K&L or Beltramos and shop with confidence. Jack: Possibly Rimmerman would do it; it fits his aesthetic for the yet-undiscovered. Vaynerchuk strikes me as more driven by what he can sell in his store, but you never know. Winterspeak: Am thinking about doing that; will probably do it next week. I didn't want to write the typical tasting-notes list for a lot of reasons, but I also don't want to leave you hanging. I don't know Beltramos sake selection, but K&L's is pretty good. I would be interested to know if there are any fermentation related connections in Sake techniques that relate to the early Chinese and Korean influences on Japan. I know a lot of technical and cultural innovations in early Japan had some outsider inspiration. Did genii's sake masters have any advisors from abroad? I'm so glad you talk about the difference between tasting sake and wine. I've always felt that I "taste/smell" sake in my mouth whereas I identify wine mostly through its nose. I also can't spit when tasting sake because I need to experience the mouthfeel and drinkability (nomi-gogochi/nodo-goshi) are so important. Second-- you wrote my book up somewhere, but I haven't seen anything yet. Help? Joel: Took the photos at Takara, which owns the print. They weren't selling copies, unfortunately, because it's a great work of art.